Last year's bohemian is this year's exotic traveller. 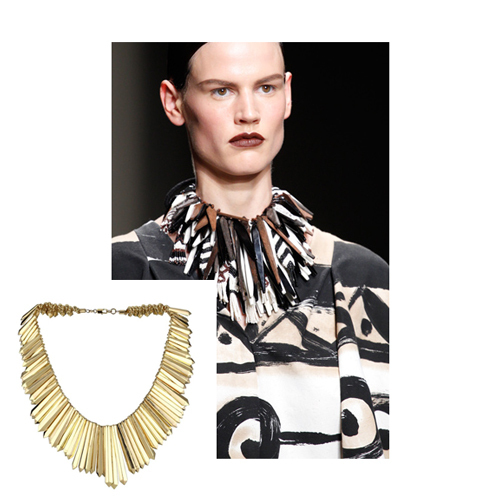 Borrowing from indigenous cultures, the jewellery takes on tribal-like shapes and patterns, from bone fragments from Michael Kors to wooden feathers from Donna Karan. Less monumental but similar in shape to Michael Kors' runway neck piece is Belle Noel's disc necklace, with a black bone-shaped resin element. 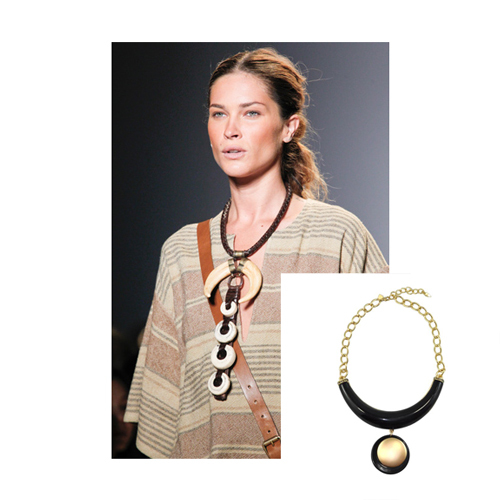 We love this statement piece, as it could make even a simple white t-shirt look like a million bucks. This dagger necklace is also from Belle Noel and has that warrior-like quality similar to the jewellery Donna Karan used on her runway. They might be of different materials, but the mood is very similar. Nicole Ritchie uses a lot of Aztec references in her House of Harlow jewellery. It works for her bohemian flair, which never really goes out of style. 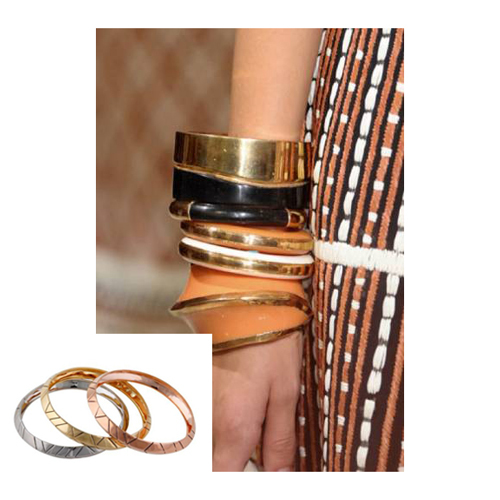 We love the look of stacked bangles from Marni's runway -- the more, the merrier.